In the words of President Donald Trump, the relationship between the US and Germany is an "unfair one-way street" after threatening tariffs on the European Union. He also said "the Germans are bad, very bad" and claimed "look at the millions of cars they’re selling in the US. Terrible. We will stop this.” President Trump isn't wrong here. In the US for 2018 Mercedes-Benz came in at number one with 315,959 units sold while BMW finished a close second with 311,014 units. But if we take a look at where those cars came from, the president's words start to lose their impact. Toyota has plants in Kentucky and Texas. Volvo just built a new plant in South Carolina, and there are countless others. Then, there's BMW in Spartanburg. For the fifth year in a row, BMW Manufacturing led the US in automotive exports by value according to data from the US Department of Commerce. 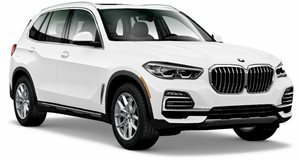 BMW's plant in Spartanburg, South Carolina exported 234,689 X models in 2018 including the X3, X4, and X5 SUVs and has already started to produce the new X7. Around 81% of the SUVs exported from the US went through the Port of Charleston, adding up to a total value of $8.4 billion. That's a whole lot of money pouring in to employ US workers just from one port alone. In total, Spartanburg exported 66% of its total production output of 356,749 units. 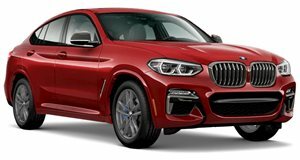 This, surprisingly, was actually a slight decrease compared to 2017 because the X4 and X5 models were refreshed in 2018. 2018 BMW X3 Test Drive Review: When Did Boring Get So Good? 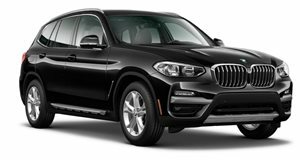 The BMW X3 isn't thrilling, but it's just about perfect at doing its thing. Get yourself someone who can do both.